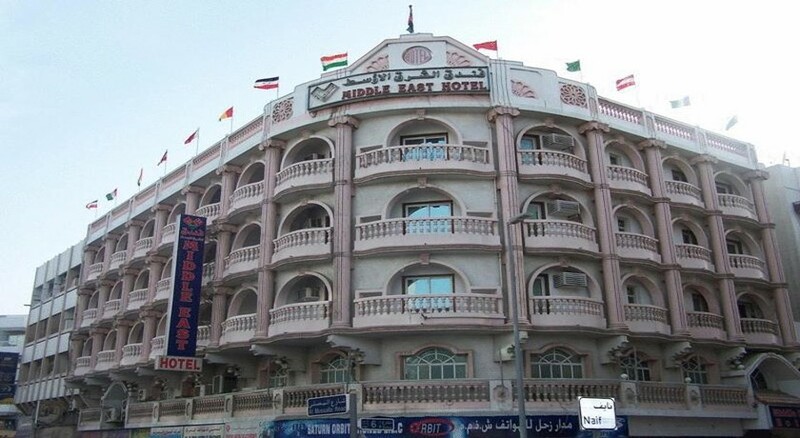 The Middle East Hotel Dubai is a comfortable multi-storeyed hotel that offers value for money and clean accommodation in the heart of Deira district, with proximity to most business and financial hotspots and home to some of the finest malls in Dubai. Close to both the Deira harbour and the Dubai International Airport, this hotel is steps away from a Dubai Metro station, so guests can reach any part of the city in a matter of minutes. For those interested in shopping, this property is located in the renowned Naif Shopping Area in Deira, so guests can shop all they want at the glittering Gold Souk, Al Khor, Museum, The Spice Souk and other popular Shopping Malls in the area. Renovated in 2010, Middle East Hotel Dubai offers spacious and well-appointed guestrooms for a comfortable stay, to those travelling to Dubai for business and pleasure. Deira, which was originally a hub of trade and business due to its proximity to Port Saeed harbour along the Deira Creek, still hosts traditional dhow cruises for tourists and small shipping boats. Now with connectivity to metro, this district has gained prominence as a major business and finance hub of Dubai. The Gold and the Spice Souk are both a few minutes’ walk, and tourists could easily explore the nearby malls filled with boutique shops. 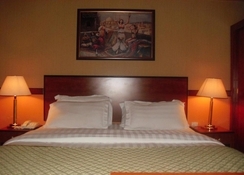 The hotel is 6 km from Dubai International Airport, a 10 minutes’ drive away. The hotel offers free shuttle services to the beach and City Centre Mall. 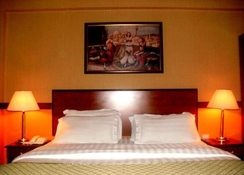 The Middle East Hotel Dubai offers 40 air-conditioned comfortable and well-appointed guestrooms furnished for a comfortable stay. 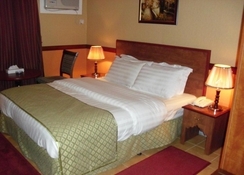 The spacious rooms come with free WiFi, Satellite TV, mini-fridge, Tea/Coffee maker, free drinking water and safe. However, bathrooms are shared. There is 24-hour room service available. 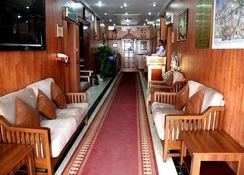 The hotel has a couple of restaurants and a café to cater to guests’ palates. There is a Galaxy Coffee Shop serving freshly brewed coffee, beverages and light bites round the clock. The Bambino Restaurant serves up sumptuous buffets for breakfast and lunches of regional and south Asian cuisine. Thamburu is a south Indian restaurant serving authentic flavours. Special kid’s buffets are available. Guest can also avail 24 hours round-the-clock in-room dining. Don’t be misled by size. Middle East Dubai Hotel offers several nightclubs where guests may relax with a drink and refreshments or take to the floor and set the tiles on fire! There are South Indian, India, Bengali themed nightclubs and two lovely pubs to unwind during the evenings. The hotel tour desk can arrange city tour, desert safari, dune bashing, Dhow cruises and other recreational activities for guests.